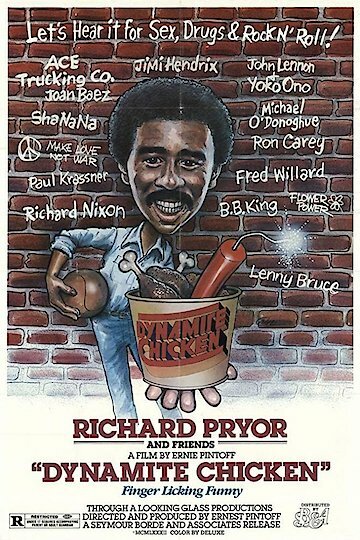 Richard Pryor is a comedian who has built a career out of offending people. This collection has to do with his thoughts on the counter-cultural movements of the '60s and '70s, particularly in the realm of anti-war sentiment. His thoughts are topical and always irreverent, sometimes expressed in the form of a stand-up monologue and sometimes through skits or songs. His exact method of comedy is always changing, but he can be relied upon to provide skewering zingers without a care about whether he is upsetting anyone. This makes his humor refreshingly uncensored, albeit mostly designed for an adult audience. Dynamite Chicken is currently available to watch free on Tubi TV and stream, download on demand at Amazon Prime online.